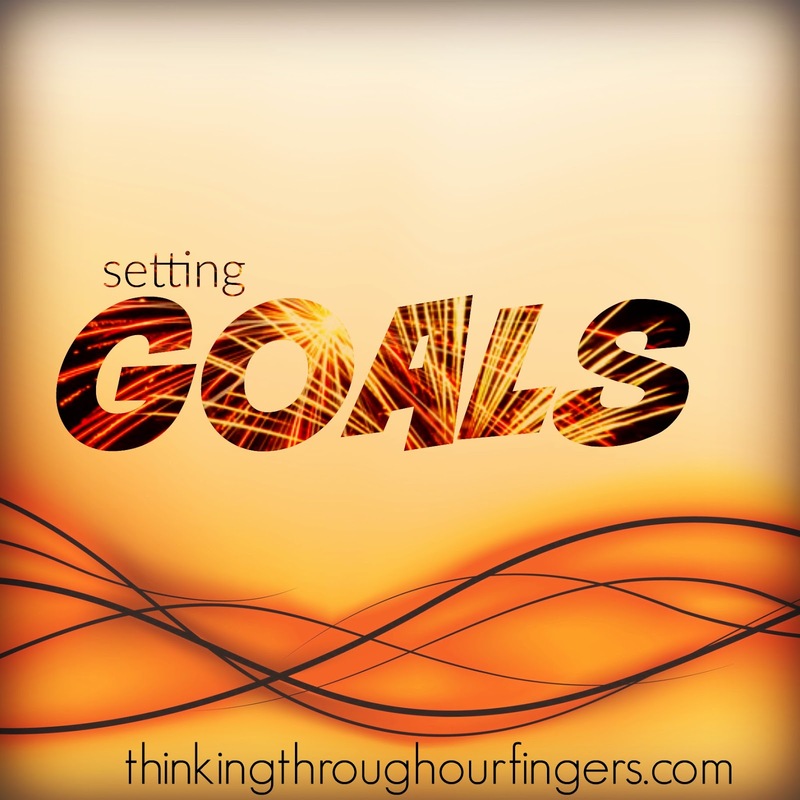 Okay, so it’s almost the new year, and I’m sure many of you spend some time setting goals. I think it’s a great idea to constantly be evaluating your writing journey and making decisions about how to get where you want to go. I do think, however, that sometimes, we as writers tend to set goals that we don’t have control over. I think it’s much better to follow a few simple steps before making goals that will help set yourself up for success in the coming year. 1. Look back at what you did this year. How many words did you write? How many manuscripts? What life events kept you from writing–a move, a new job, a baby, etc. Which of those life events are you anticipating for the coming year? 2. Only choose goals you can control. For example, you might have a goal to get an agent this year. But you actually don’t have any control over that. I know, I know. I may have just dashed all your hopes! Not really, I hope. But honestly, you can submit to every agent that accepts your genre, and they might not have room for your title on their list. They may have clients that write too similar things. They might be in a bad mood when they read your submission. This is a goal you actually have no control over. 3. After evaluating your past year and looking forward as much as possible — no one can predict a job loss, an illness, etc. — then you’re ready to start setting attainable goals. Word count goal per month — these are great, because you can actually control them. And you feel a measure of control over your journey, as well as a sense of accomplishment when you meet the goals. Be sure to evaluate as you go. If you set a goal for January for 25,000 words, and you can only do 20,000, don’t beat yourself up about that! That’s a lot of words in a month. Reset your goal for February. Just because you made a goal doesn’t mean it can’t change. Manuscripts to write — do you have deadlines this year? Which MS’s need attention first? I make a monthly schedule for four months at a time. Sometimes I stay right on track, and sometimes I have to change things up every few weeks. Publishing schedule (if self-publishing) — how many titles and when will you publish them? Be sure to give time for editing, cover design, etc. Craft/workshop classes — again, something you can control. Sign up for in-person or online classes, work with a critique group, anything you can do to improve your craft. How many of these can you do/afford? Be sure to plan your production and publishing schedule around these times, as you generally won’t get as much writing/editing done at a conference. Sales goals — besides buying your own books, you really have no control over this. Sure, you can do marketing and whatnot, but again, it’s about as easy to predict what marketing tactics will work as it is to find a unicorn. Book deal goals — I don’t think aspiring to have a book deal is a bad thing. But I do think it’s dangerous to consider your year a success or a failure based on something you can’t control. Now go forth and set those goals! What are you aspiring to do this year with your writing? Liz Isaacson writes inspirational romance, usually set in Texas, or Wyoming, or anywhere else horses and cowboys exist. Her Western inspirational romance, SECOND CHANCE RANCH, as is THIRD TIME’S THE CHARM, the second book in the series.